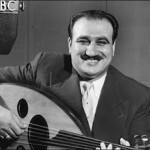 The musical tradition of Baghdad descends from a complex Arab tradition which is influenced by a number of cultures: Turkish, Persian, Kurdish, and even Indian. This school brings into play classical modes, as defined by a series of indissociable elements, parts of which are found in the Syrian-Egyptian and Ottoman schools. Each mode, each utterance, has its coloring and mood, calling on synaesthesia, magic and faith, in a charismatic and apocalyptic framework. The harmony thus obtained is called insijam and can only be reached in a state of internal mystical exaltation. The effect on the audience is called tarab, a musical emotion which transports the soul to exaltation. The artists call this form al-maqâm al-‘irâqî (modal composition of Iraq) which is also played in Mosul and Kirkuk at festivals and private concerts. Modes and rhythms are not always called by the same name and do not always have the same characteristics. There is no clear separation of the profane and the sacred in this melody mode and it can be found in most religious music of Mesopotamia (Muslim, Jewish, Christian, Gnostic, Schismatics or Heretics). The repertory is often transposed in a mystical language to preserve its esoteric nature. All of the communities of Iraq participate in a same aesthetical goal: Arabs, Kurds, Turkmens, Sunnis, Shi‘ites, Faylis, Armenians, Mandaeans or Sabaeans, Jacobites or Syricacs, Assyrians, Chaldeans, Iranians, Circassians, Chechens, Georgians, Zoroastrians, Shabaks, Lurris, Gypsies, Zanzibarans, Afghans, Baluchis, Indians, Yezidis, townsmen and Bedouins. In Syria and Egypt, this style is called “lawn ‘iraqi” (Iraqi color) or “sab‘awi baghdadi” (septain of Baghdad), and has been interpreted by masters such as Ahmad al-Faqsh, Muhammad Abu Selmo, Muhammad Zayn al-Din and Adib al-Dayikh. Contrary to other traditions, the singers of the maqâm are called qari’ (reciters), like the reciters of the Quran, probably to recall the sacred element of their art. 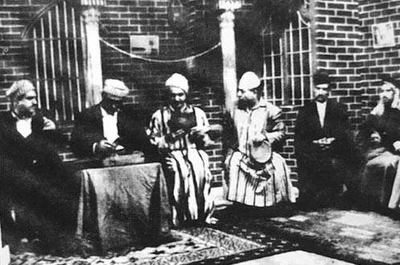 Vocal suites are often interpreted during rituals invoking God (dhikr), accompanied by dances: Mesopotamia is the country of the tariqa of Qadiriyya and Rifa’iyya. 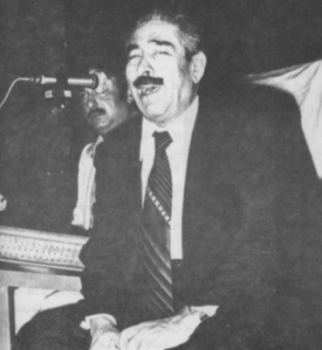 There are vibrations in al-A‘zami’s voice that recall the rituals of the Sunnite brotherhoods and the commemorations of the martyr Husayn at Karbala’ (Ardu l-karbi wa-l-bala’, the land of suffering and misfortune). There are always spectacular shows of faith at the Great Mosque/Mausoleum of al-Kadhimayn in Baghdad where the worshippers interpret the ta‘ziya in a travesty (Shiite mystery). They mutilate their heads, backs and bellies, in rhythm, accompanied by the clinking of chains, the incredible whirring of metal bars used for this flagellation and of the “yatagans” (daggers) slicing through the air. The old and terrible maxim: “The spirit triumphs over the pains of the body, vile matter and perpetual suffering” comes as an ironic response to the fulmination of theologians and jurisconsults. It is therefore not surprising that Mesopotamia is the land of the ordeal and talion, the immemorial land of the Sufi, dervishes and faqirs. The country’s name itself (‘iraq) evokes the exudation (‘araq) of the two rivers fertilizing the terrible desert, creating marshes, ponds and lakes where the marginal and rebellious traditions of older times seek refuge. 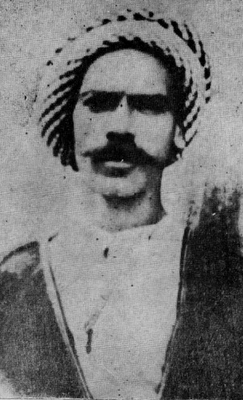 Wilfred Thesiger described the traditional life of the Arabs of the Marshes and their legends of fog, such as the one about Iram, who did not believe in the divine message and was swallowed into hell. These mystical rituals generally end in bursts of laughter, expressing the hope of Resurrection and promises of the Master of Paradise, the pseudo-Aristotle and his whimsical scribe from Lombardy, Umberto Eco. The instruments, the tone of voice, technique, and terminology are not traditionally unified. For example, the mode is called tawr (cycle) in Bedouin music. There are some seventy Arab scales or melodic modes and some fifty melodic pieces. Even the term maqâm (mode) is very old: it comes from the Arab root qwm, (to rise, be held upright, to stop, to be held motionless, triumph, resuscitate, to resist, rectify, achieve, carry out, with or without specific prepositions). This root is found in old Semitic and Hamito-Semitic languages (Egyptian Pharaonic, south-Arabic, Hebrew, Amharic, Akkadian, Phoenician and others). The basic idea behind this root is that of a stopping point, a standing station, a construction on a certain site. The word designates a “place” in the first simple verbal form: maqam, muqam or muqama (plural being maqamat, or muqamat, occurring twenty times in the Quran). First used to mean the stay, the place and time, the place, the dignity and rank, then sacred or prophetic place (maqâm of Ibrahim at Ka’aba of Mecca) is transposed in literary vocabulary to designate an erudite genre (maqama: meeting, assembly) in saja‘ (rhythmic and rhyming prose), a rhetoric contest of literary circles where an illustrious marginal defends and illustrates the Arab language by showing his listeners a subtle science of words and syntax, in search of the rare, the bizarre, the surprising, the archaic, the unexpected and even the obscure. Badi‘ al-Zaman al Hamadhani (968-1007) and al-Qasim b. ‘Ali al-Hariri (1054-1122) stood out in this genre during the Middle Ages, followed by a number of others until the nineteenth century. The term maqam is used by the mystics to designate the different stages of initiation into the brotherhood: tahzim (entry into the brotherhood), dhikr jali (ritual invoking of God out loud), dhikr khafi (interior ritual), inkhitaf (stage of sensorial transport), dhikr al-hadhra (collective ritual), hal (ecstasy), wajd (enstasy) and others, according to the secrets passed down by the head of the brotherhood. The maqam entered musical vocabulary sometime in the middle of the eleventh century AD, thanks to the Syrian theorist, Shams al-Din al-Saydawi al-Dhahabi (Kanz al-tarab wa-ghayat al-arab fi madh sayyid al-‘ajam wa-l-‘arab, the treasure of musical emotion by the recitation of praise to the Lord of the Arabs and Foreigners). The long poem written by this theorist has a curious system of notation of ranges, probably inspired by the presence of numerous Crusades in Palestine and the invention of Guy of Arezzo (11th century). 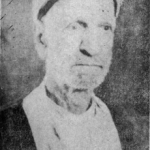 His poem was noted in many anthologies, of which Shibab al-Din Muhammad al-Hijazi (c. 1793-1857) in the nineteenth century (Safinat al-mulk wa-nafisat al-fulk, the Arch of the Lord and the precious nave). Today, the maqam is mostly used in Arab and Turkish-speaking countries. It is almost synonymous with naghma (root nghm, nasalisation and melody) and is considered more theoretical. The ancient terms of lahn (Arab error, then foreign melody, then melody), isba‘ (finger), shadd (transposition), avaz (air), sawt (voice) or tab‘ (character) are out of date, although the Northern and Eastern parts of Arabia still use the word sawt, while the Maghreb is more inclined to tab‘. The Turkish-speaking populations of Central Asia use the term mugam (Azerbaïjan) and makom (Turkmenistan and Uzbekistan). In this mode, musical scales (sullam) have unequal degrees (darajat) of importance; regulating the process (sayr) of the melodic mode and its specific ornaments (zakharif). 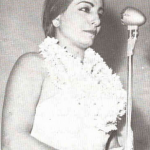 The mode is also characterised by opening vocalisations (tahrir or badwa), situating the mode and the singer’s voice, a collection of melodic modes in pieces called qit‘a, wasla, jalsa or gufte; an emphasized and understood ascent to the high notes (meyana) or low notes (qarar); cries (sayha) returning to the initial scale; final vocalisations (taslim); modulating syllables (alfaz) introducing the modulations and transpositions. The rhythm is closely linked to the mode which is traditionally accompanied by a pulsation. All modes do not follow this stereotypical order, with some including only certain phases, in spite of academic efforts to create uniformity. 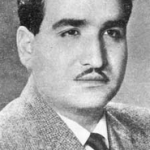 Short instrumental versions of the modes exist, and tradition has it that it was two brothers, Dawud (1910-1976) and Salih ‘Ezra al-Kuwaiti (1908-1986) who undertook to interpret the complete versions on Radio Baghdad in the 1930’s. This music is also generally characterised by the tragic modulation of the vocals, highpitched voices (takhnis), pecking (buhha), strictly coded sobbing, intervals, technical vocabulary, rhythms (several versions) specific instruments, specific craftsmanship in lute-making, a poetic repertory in classical, median and dialectical Arab, distinct from the legendary Arab-Andalusian heritage. Strict dietetics, an accepted and sought out musical therapy and a particularly expressive chironomy. The songs were generally interpreted in an alternating duo (tanawub), making for a variation in tone and tessitura, while giving the singers a chance to rest. This technique began before the Islamic period and the Book of Songs talks of the beautiful song of Two Grasshoppers (al-Jaradatan). One sings the deep bass notes (sawt al-bam) while the other sings in a high octave (sawt al-zir). 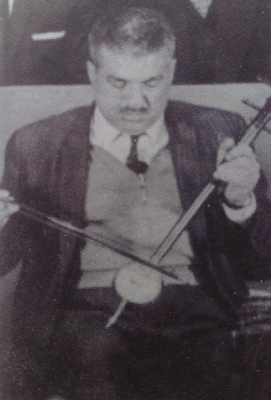 Classical music of the Maghreb employs this technique which is widespread in popular and sacred music throughout Arabic countries. These complete versions are done in classical or dialectical Arabic, Persian, Osmanli Turkish, Turkmen, Kurdish and Hebrew. Some are without meaning, as in scholarly Indian or Western Medieval music. Certain modes have shorter versions which are used as melodic pieces. The language, Arabic or another, of the poems follows strict rules, but the masters generally do not adhere to them. The modes and original modulations (maqam or naghma, in several versions) are organised in semi-improvised compositions which are either profane or mystical. These compositions follow one other in the vocal suites (fasl, dastgah in Persian) according to an order (nizam, or radif in Persian) established by the great masters (mu‘allim, ustä or ustadh), in complex musical styles. They often include unknown or little used modes. Preludes (bashraf or muqaddima) and interludes (sama‘i) constitute the instrumental parts. Ritornellos (dulab) can be interpreted at the beginning of the suites or at the end of the song to recall the initial mode after modulations. Only the rhythm and the duration differ. In this analysis, the term maqam will be employed only in the Iraqi context. Modes are generated by several means: linking of modes by their common notes (idafat al-angham: the maqam Jammal is composed of Saba and Segah), divergence of the composition of modes (ikhtilaf fi tarkib al-maqamat: the Ibrahimi, Bherzawi, and Juburi are composed from the Bayat but differ from it in their components and introductions), additions of modes (ziyada ‘alä nagham: maqam Hadidi is a compound of Saba and Bayat where Saba prevails, whereas it is the reverse for maqam Mansuri), different interpretations or paths of a melody (ikhtilaf bi-l-qasr aw al-madd or ikhtilaf bi-sayr al-lahn: speed for maqam Gulguli and slowness for maqam Mukhalaf), transposition of modes to another degree (taswir al-maqamat ‘alä daraja mukhtalifa or qalb al-‘ayan: maqam Awj is a transposition of the maqam Segah on a higher note). These processes are all very ancient and are called tarkib (composition) in the ‘Abbassid school and mürekkep makam in the Ottoman school. The traditional ensemble (Chalghi Baghdadi in Osmanli) is made up of a santur (zither, strings are struck) or a qanun (zither, strings are plucked), a joza (rebec or spike fiddle), a clay drum (tabla) or kettle drum (naqqara) and a tambourine with cymbals (daff zinjari). 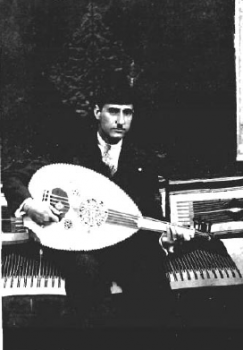 Starting in the 1920’s, the qanun, like the lute, became favored under the influence of Muhammad al-Qubbanji and other masters. The crystalline sound of the qanun is considered as more precise than the santur which leaves an echo. The lute underpins the low notes and was for a long time the prerogative of the Christian lute-maker Hanna al-‘Awwad. 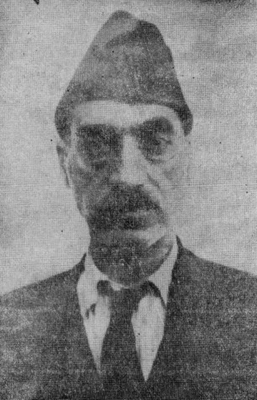 The naqqarat was abandoned, then reintroduced by Munir Bashir. C: Classical Arabic; D: Archaic dialectical Arabic of Baghdad, from High or Low Mesopotamia; P: Persian; T: Osmanli Turkish; TM: Turkmen; K: Kurdish; and R: rhythm, with the name being stated. Husaynî (C): Dasht al ‘Arab or al-‘Irâq (C or P and R: Wahda), Urfâ (D and R: Wahda or Wahda Tawîla), Arwâh or Râhat al-Arwâh (C), Awj (C), Hakîmî (D and R: Yugrug), Sabâ (C and R: Wahda) and Tshahârgâh (C), and sometimes the Bayyât al-‘Ajam (C or P and R: Yugrug) and the ‘Alî Zubâr. Modes traditionally not included in the suites: Jammâl (C), Humâyûn (C), Nawrûz ‘Ajam (C or P and R: Yugrug), Bashîrî or Nîm Bashîrî (C and R:Jurjîna), Dashtî or Dasht al-‘Ajam (C), Huwayzâwî (C), Hijâz Atchugh (C or T and R: Wahda), Bayyât al-‘Ajam (C or P and R: Yugrug), Mathnawî (C or P), Sa‘îdî or Sa‘îdî Mubarqa‘ (C and R: Yugrug), Khalwatî (C and R: Yugrug), Awshâr (C or P), Tiflîs (T and R: Yugrug), Nahâwand (D), Bherzâwî (D and R: Yugrug), Muqâbal (D and R: Yugrug), Sharqî Isfahân or Sharqî Râst (D and R: Wahda), Râst Penjigâh (D or C), Sharqî Dûkâh (D and R: Wahda), Hijâz Kâr Kurd or Ibtikâr (D), Hijâz Kâr (D), Bâjilân (D), Qatar (D or K), Gulgulî (D and R: Yugrug) Lâmî (D or C), Qazzâzî or Qazzâz (D or C) and Madmî (D and R:Yugrug). 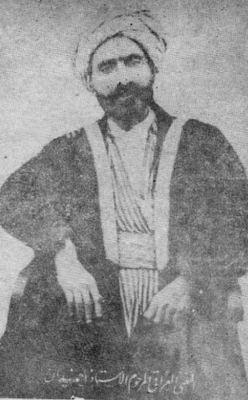 Others are more rarely heard such as the Hayrân, Shushtârî, Akbarî or ‘Akbarî, Zîrafkand, Najdî Segâh, the Râhat Shadhâ, the Nâhuft al-‘Arab, Zamzamî, Ramal, ‘Ushshâq, Salmak, Abû ‘Atâ, Qajar, Mâwarâ’a-n-nahr, Rûhé ‘Irâq, and Mâ‘ranâ, which have almost disappeared. 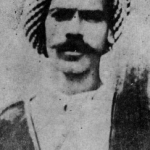 The Lâmî became widely know from the recording made by Muhammad al-Qubbânjî by Baidaphon at the end of 1928, but which ‘Abbûd al-Karbalâ’î had also recorded for Gramophone in the same year. Modal pieces founded on melody formulas: B: Bayyât; H: Hijâz; Hu: Husaynî; °I: °Iraq; M: Mansûrî; Mu: Mukhâlif; R: Râst; S: Sîkâh N: Nawä; Na: Nahâwand; Ng: Nagrîz and T: Tshahârgâh. Lâwûk (N, T, Na or Hu), Zanbûrî (R), Sîkâh Balabân (S), Mukhâlif Kirkûk (°I), Sîkâh ‘Ajam (S), ‘Udhdhâl (Mu), Seh Reng or Muthallatha (Mu, S, and R, Yugrug), Musta‘âr, Adhirbayjân (S), Sîkâh Halab (S or H), Mâhûrî (T), ‘Alî Zubâr or ‘Arazbâr (T and B), ‘Ushashî (H), ‘Abbûsh or ‘Iraq (B), Bayyât al-Aghawân (B), Qariyah Bâsh or Qaryat Bâsh (B), ‘Umar Galah (B and S), Bakhtiyâr (T and S), Nihuft or Nihuft (T, S or H), Nihuft al-‘Arab (B), ‘Ushayshî or ‘Ashîshî (B or H), Qâtûlî (S, M or R), Hijaz Dunadî (H), Hijâz Gharîb (M or B), Aydîn (T or Ng), Shâhnâz (H), Bûseh Lîk (B or Na), Hijâz Madanî (H, N, Ng or R), Jassâs (°I), Sufyân (S), Sîsânî (R), Qazzâz (B and S), Khalîlî (B or R), Zunjurân (R), Nagrîz (H), Kûyânî (B), Muthaggal (B), Khâbûrî (B), Rukbânî (B), °Irâq (H), Bayyât Shûrî (B), Salmak (B), Sunbula (S), Zangana (S), Bahrânî (R), Janâzî (R), Dawarân (B), Maw’a (B), Mugatta‘ (B), Muthallath (B), Jalsa (R or B), and Yatîmî (B, R or Na). 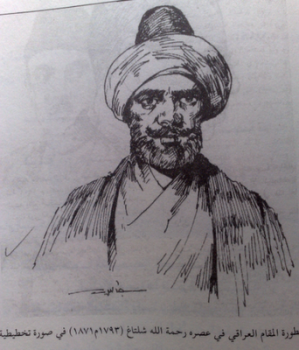 Certain artists (‘Abd al-Latif b. Shaykh al-Layle, 1819-1899) distinguished themselves by introducing modulations (Gapangi) to modes that did yet have any. Others developed modulations into modes (Qazzâz, controversial origin). If a note is held too long it can change the mood of a modal piece and give rise to a new modulation or even a new mode. Traditionalists reproved the great masters, who were energetically followed by their disciples and their public. There are certain names that are the same in Iran, but their modes and melody formulas are not the same. 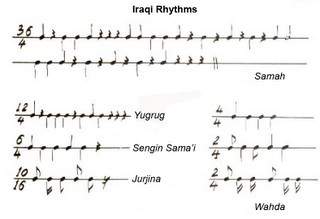 Rhythms used today: Jûrjîna 10/16 in two versions, Wahda 4/4, Wahda Tawîla, Bamb or Sawt 4/4, Wahda Maqsûma 2/4, Yugrug ‘Irâqî 12/4, Ay Nawâsî 18/8, Samâh 36/4, Samâ‘î Dârij or Valse 2/4, and Sangîn Samâ‘î 6/4. 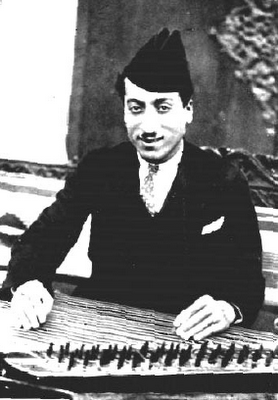 There are older denominations which were presented at the Cairo Congress of 1932 by two master percussionists (‘Ulaylâwî 10/8, Hachcha 6/8, Muthallath 8/8, Sharqî 4/4 and Sha‘bâniyya 5/8). Modulating syllables or words: There are a large number of modulating syllables, devoid of any particular meaning other than a complaint (Oweh, Ah, Ouf) in dialectical Arabic (Ya bah, O my father), in classical (Allah ya dayim, God, Oh eternal), in Persian (Yar, Love), in Osmanli (Eki kuzum, you are as precious as my eyes) and in Hebrew (Hallelujah). It is said that an eighteenth century British traveller who went to a maqam concert, sincerely thought that the singer was in pain, and handed him some medicine. Some verses are a resurgence of ancient poems, complete or incomplete form. The other languages are subject to dispute. In any case, the great masters use them as they like. The Baghdad school is also heavily permeated with a style that is both archaic and refined, probably very close to the style of the Golden Age of the Umayyads and Abbassids. Deben Bhattacharya and Simon Jargy were the first to research the question, but their successors have not managed to further our knowledge. We can only assemble pieces of outdated materials that are behind an aesthetics that is still highly attractive. Historians generally agree that this music developed from the fifteenth century and was influenced by both the Persian and Ottoman cultures. The musical history of the maqâm al-‘iraqi and the genealogy of those interpreting it were explored in depth in the twentieth century by historians, in spite of the political turmoil and darkness which shrouds large sections of this cultural heritage. One recalls the names of al-Musallam or al-Muslim al-Mawsili (18th century), the Azeri Kazhim Uz (19th century), the mufti Jalal al-Din al-Hanafi, Dr. Muhammad Siddiq al-Jalili, Hajj Hashim Muhammad al-Rajab and his son Bahir, the erudite ‘Abbas al-‘Azzawi, ‘Abd al-Hamid al-‘Alwachi, ‘Abd al-Wahhab Bilal, ‘Abd al-Karim al-‘Allaf, the Révérend Père Anastase-Marie of Saint-Elie the Carmélite, the cantor Alortabet Narsès Sayeghian, professor Yusif Ya‘qub Maskunî, the researchers Thamir al-‘Amiri, ‘Amir Rashid al-Samarra’i, Habib Zahir al-‘Abbas, Yeheskel Kojamann, Amnon Shiloah, and Julien Jalaleddin Weiss. 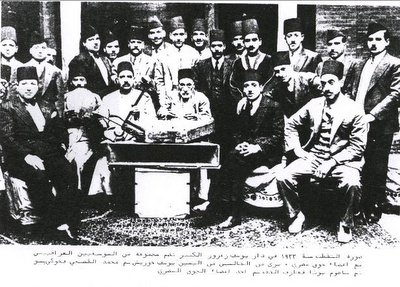 The first recordings of the Baghdad school were made on cylinders in the last years of the nineteenth century, of Mulla ‘Uthman al-Mawsili, Ahmad Zaydan and ustä Mahmud al-Khayyat. 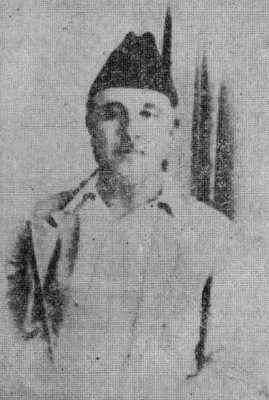 Between 1908 and 1939, Baidaphon (Bayda Abna’ ‘Amm), Gramophone, Odéon, Polyphon, Homocord and Sudwä made recordings, followed by Iraqi producers (Ahmad al-Dabbagh, al-Hakkak and Chaqmaqchiphon). 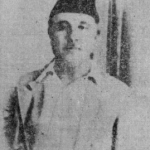 A more older document is the recording of the maqâm Râst by Sha’ul Salih Gabbay and the ensemble of Hugi Pataw in 1909 at Gramophone, on the Persian catalogue. Gramophone and Baidaphon were both illustrated by their overall recording campaigns in 1925. 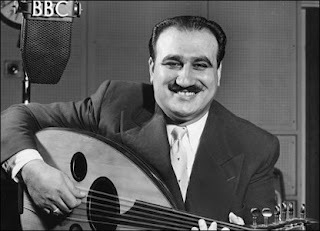 The most important recordings were made by Baidaphon which organised a meeting of musicians from a number of Arab regions in its studio in Berlin in 1928, the first pan-Arab encounter. 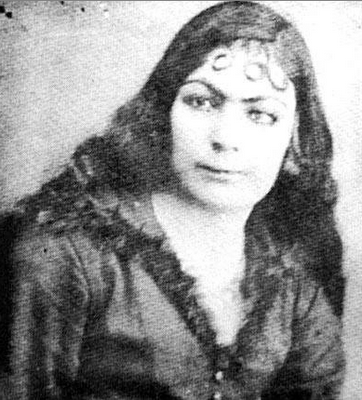 The ‘Azzuri Harun al-‘Awwad ensemble of Baghdad (Ezra Aharon, lute player, violinist and qanun player, born 1900, emigrated to Palestine in 1934) accompanied the lively Tunisian singer Marguerite, called Hbiba Msika. These precious documents are held in several public and private collections. 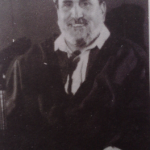 Professor Amnon Shiloah told us how Ezra Aharon was pulled from a deep coma in his old age when he heard the recording of the 1932 pan-Arab conference of Cairo. A number of poems are extracted from Kitâb al-aghânî (the Book of Songs) of Abu al-Faraj al-Isfahani (797-867), psalms translated into Aramean (often from the apocryphal books of the Old and New Testaments) and anthologies that are related to the cabbala which were collected by rabbis (Isra’il Naggara). The melancholy shadows of Majnûn Laylä (7th century), Abu Nuwas (747-815), Abu al-‘Atahiya (748-825), al-Mutannabbi (915-965), Abu Firas al-Hamadani (932-968), Ibn al-Farid (1181-1235), Ibn Hani al-Andalusi (937-973), Ibn al-Nabih al-Misri (died 1222), Ibn Nubata al-Sa‘di (938-1015) , al-Baha’ Zuhayr al-Muhallabi (1185-1258), and Fatah Allah ibn al-Nahhas (died 1642) obsessively haunt the memory of a number of poets of the river Tigris. The Persian poems formerly recited were attributed to Rudaki (died 940), ‘Umar Khayyam (1021-1122), ‘Attar (1119-1190), Sa‘di (1193-1291) and Hafiz (1320-1389) or extracted from the Shâh Nâmeh (the Book of Kings). 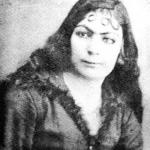 The Ottoman, Turkmen and Kurdish poems are rather anonymous or drawn from the epic of Shirin. Their imagery is constantly making connections with the sea, in distant memory of the Sumerians, the fish god Ohannes and Sinbad the Sailor who was in search of the pearl on the lost islands. Courtly love is illustrated by classical qasida, which are monometric and monorhyming verses written by major or minor poets. The dialectical peste, are strophic, light and characterised by somewhat spicy language. Certain authors developed exquisite pieces, sung in literary circles (majalis adabiyya), gymnasium (zur khana), cafés (qahwat khana), tea houses (chay khana) and taverns (khammara), such as ‘Ali Khan al-Hasani al-Husayni (17th century), ‘Abd al-Ghaffar al-Akhras al-Baghdadi (the stutterer of Baghdad, 1806-1873), the sayyid Muhammad Sa‘id al-Habbubi (1849-1915), Fulayh and Ja‘far al-Hilli (1860-1898), Kazim Al-Uzri, ‘Abbud Al-Karkhi, Radi Al-Qazwini (died 1868), ‘Abdallah al-Faraj al-Kuwayti, al-Hajj Zayir al-Najafi (19th century), al-Mulla Zuhayr al-Jadir (early 19th century), and Khidr al-Ta’i (19th century). 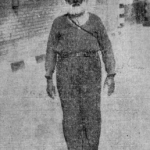 Among the neoclassical poets of the twentieth century are the Egyptians Ahmad Shawqi (1868-1932) and Hafiz Ibrahim (1871-1932), the Lebanese Illiyya Abu Madi (1889-1957), the Iraqis ‘Abd al-Rahmân al-Banna’, Ma‘ruf al-Rusafi, Jamîl al-Zahawi (1863-1936), Muhammad Mahdi al-Jawahiri (1902-1997) and many more. The takhmis is a neo-classical quintain of three hemistiches which includes an ancient and famous verse in the middle and at the end of the quintain, usually in a b a a b. The long vowels are extended to allow for modulations or transpositions. The alfaz come within the verse or at the end of hemistiches. There are also poems which are embedded within other poems to allow for the requirements of the mode and rhythm. The mawaliya form of poetry emerged from the new city of al-Wasit in Iraq around the eighth century AD. This form of poetry, now called mawwal, is a song in which non-Arab servants, slaves or free men, deplore their Arab lords. The mawwal follows a specific meter that does not follow the declination nor the syntax of the Quran or of classical poetry and became an important part of Arabic literature. The mawwal musabba‘ was originally a popular form of song of Mesopotamia, using a specific meter and mode: starting with a septain of hemistiches often having a double meaning, with two rhymes which are almost homophone and homographic (a a a b b b a). The poet generally describes the torments of passion in these verses. Pleading and interjections enhance the semantic fibre and open the way to modulations. The poetry has its corresponding melody. Traditional expressions are placed at the beginning of the septains: “Men yom fargak (since the day of your departure), “ya zain el-awsaf” (You, whose beauty is perfect), “Ya man bi-husnak” (You, whose beauty), “Li khillatan” (I have a friend) etc. The abudhiyya (literally abu l-adhiyya, “the tormented man”) is now part of the repertory of scholarly music, but was originally a popular form of poetry. The last verse always end with the phonem yyah. The poets generally describe the torments of passion in these verses. A classical Arab verse is recited almost recto-tono. This is followed by a dialectical quatrain commentary on its meaning and serves as an introduction to the mode. Pleading and interjections enhance the semantic fibre and open the way to modulations. Hence, the poetry is complemented by a melody which highlights the hum (wanneh) of a chorus singing a capella, which prolongs the resonance and prepares for the melismatic flight of the recitor. The ‘ataba is also a quatrain, but has its own meter and generally follows an a a a b rhyme, ending with the phonem “b” and punctuated by a refrain of “ya bah” (O Father). Some of these poems are very hard to decipher, as only their author knows the real meaning behind them. This natural reserve is explained by the Bedouin modesty, tribal vendettas and the price of blood. The modal compositions are separated by peste (from the Persian, link), quatrains and refrains. These are transitions during which the chorus comes in. Their role is to give the recitor a rest, after the great efforts required by the maqâm. The peste also act as a trigger, a catharsis. They are always rhymic, sung in dialect or in Arabic. They are generally gay or ironical, often jumbling and making reference to legendary beauties and symbolic places. These compositions sometimes talk of political events and the authors are excellent satirists and ironists. These were originally considered as being songs for women, but men quickly claimed their share. However, a high-pitched voice traditionally opens the octave above the chorus in recognition of the origin. This is also found in the classical music of Syria-Egypt and the Maghreb. The famous song, “Fog en-nakhel” (Above the palm trees) is none other than a profane version of the sacred hymn “Fog al-‘arsh” (Above the throne), attributed to Mulla ‘Uthman al-Mawsili. 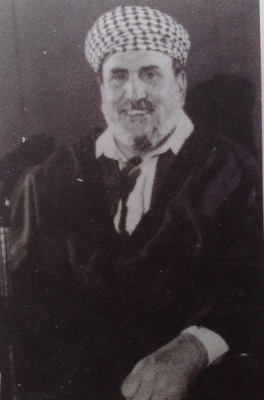 The Hebraic hymns of Babylon collected by Avraham Zvi Idelsohn (1882- 1938) and Amnon Shiloah in the twentieth century, like in many Arab countries, were often composed from profane melodies, and vice versa. They are still recited in the Babylonian synagogues of Israel. The Christian psalms of Mesopotamia and of Adiabenia have these same characteristics and develop in particular the Urfawi style, which stemmed from ancient Aramean melodies of Palestine. Then there are quatrains (abudhiyyat et ‘atabat, in two forms, furganiyyat or hawawiyyat, of separation or union) or septains (mawawil sab‘awiyya) written in archaic dialect and full of esoteric meaning. There are other forms, but these are mostly interpreted during popular concerts: maslawiyya, khaburiyya, rukbani, murabba‘, nayil, suwayhili, burdana. A number of anthologies have been edited recently. 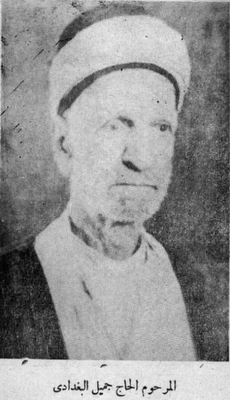 Bedouin Abu Humayyid (1817-1881), the Mulla Hasan al Babujachi (1774-1841), the leader in his time of the Baghdad school; the Turkmenian Rahmat Allah Shiltagh (1798-1872); of Khalil Rabbaz (1826-1905); the unforgettable falsetto voices of hazzan Israil b. al-Mu‘allim Sasun (1842-1891), Rubin Rajwan (1851-1927) and Salman Moshe (1880-1955); the Christian cantor Antun Dayi (1861-1936); the ustä Mahmud al-Khayyat (1872-1926), the leader of the tailor’s guild; Qadduri al-‘Aysha (1813-1896) famous for his great art; Salih Abu Damiri (1827-1914); Rahmin Niftar (1833-1928); Hafiz Mahdi al-Shahrabani (1894- 1959), grand master of the hanafite recitors of the Quran of the Great Mosque of the Sayyid ‘Abd al-Qadir al-Gilani; Hajj Yusuf al-Karbala’ i (1897-1951); the Mulla ‘Uthman al-Mawsili (1854-1923) blind prodigy, a talented composer, protégé of the great master rifa’i Muhammad Abu al-Hudä and the Sultan ‘Abdül-Hamid II; his disciple al-sayyid Ahmad ‘Abd al-Qadir al Mawsili (1877-1941) a descendant of the prophet; one of the heros of the falsetto traditions Rashid al-Qundarji (1886-1945); the Jewish cantor Yusuf Huraysh (1884-1976) grandson of the Austrian rabbi Eli‘azar b. Salif Khalif, the erudite al-Hajj Jamil al-Baghdadi (1877-1953), the pigeon breeder Najim al-Din al-Shaykhli (1893-1938) chosen to write the glorifications of God on the highest of minarets (al-tamjid ‘ala l-mana’ir) in spite of his good looks and popularity among the veiled women of the harem; of the Hajj ‘Abbas Kambir al-Shaykhli (1883-1971) the Afghan famous for the magical power of his voice; ‘Abd al-Sattar al-Tayyar (1923); Hasan Khéwké (1905-1962); protege of king Ghazi, the unforgettable Muhammad al-Qubbanji (1901-1989) and his remarkable pupils Nazhim al-Ghazali (1920-1963) and Yusuf ‘Umar (1918-1986), Ahmad Musa (1905-1968) whose deep voice was like ocean waves; Husayn Isma‘il al-A‘zami (1952), Salim Shibbeth (1908); Hasqil Qassab; Filfil Ilyas Gurji (deceased 1983); and Ya‘qub Murad al-‘Imari, all four refugied in Israel from 1951. There are just a few women in this singing school but those who did take part excelled with their usual brio and refinement. 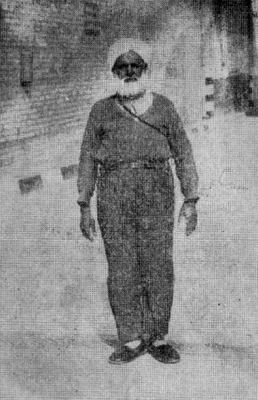 Among these voices are Salima Murad (called Salima Pacha, 1900-1970), Siddiqa al-Mullaya (Siddiqa Salih Musa 1900-1970), Munira ‘Abd al-Rahman al-Hawazwaz (1895-1955), Zakiyya Georges from Alep (1900-1966), Badriyya Umm Anwar, Jalila Umm Sami, Zuhur Husayn, al-Sitt al-Mutahajjiba, Khanum, Hajja Sultana Yusif, Ruti al-Mandalawiyya and her sister Bahiyya. 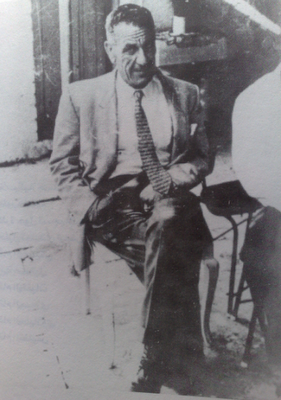 Their works were documented by their former admiror ‘Abd al-Karim al-‘Allaf in Qiyan Baghdad (1969). They specialized in light pestes and rhythmic maqams such as the Bherzawi. This school benefited from the patronage of state officials such as Nuri al-Sa‘id, after king Ghazi disappeared (1939) and after the arrival of the regent ‘Abd al-Ilah. This music was governed by strict etiquette, required by the courtly ceremonials. The popular aspect of certain interpretations enhances the interest and serves to reveal the extraordinary impact. Na‘im Kattan spoke of these arcanes of traditional society. 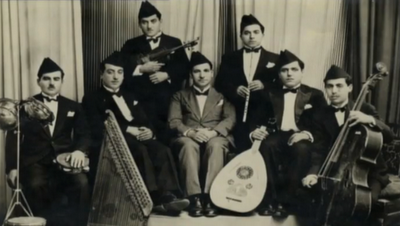 The musicians of Mesopotamia joined in guilds at an early stage. 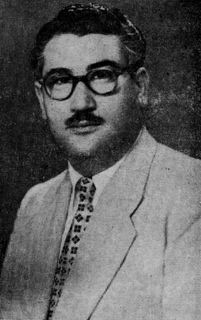 They fought several battles to preserve their royalty rights from the Iraqi radio and television as early as the 1940s. The coffee shops where they sang were often considered meeting halls for contestations. They travelled widely, importing the melodies, modes and techniques learned abroad. Their art is a modal Tower of Babel that can be analysed over close to a millenium and a half, thanks to a series of treaties on acoustics, theories, practices and historical approaches. These poets left their verses to posterity, often incorporated into ancient anonymous repertories. They are difficult to understand as they are generally chronograms or anagrams using a mystical science of the alphabet mixed with a large degree of humor. The musicians are generally from religious minorities and they distinguish themselves by using a very particular technique. The music is of the tradition of the ustä (masters) Muhammad Salih al-Santurchi (19th century), Hugi Salih Rahmin Pataw (1848-1933) and his son Yusif (1886-1976, santur), Salih Shummel Shmuli (1890-1960, joza), and Yahuda Moshé Shamash (1884-1972, tabla baghdadiyya) who emigrated to Israel in 1951. The traditions of the Bassun, Cohen, Yuna and al-Kuwayti families still exist in Israel. 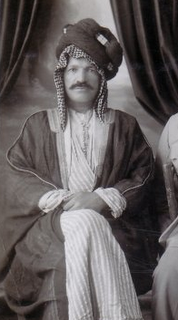 The tradition of Ibrahim Adham al-Qilarinetji (around 1850-1932) is represented in Syria and Lebanon. Many of these musicians, wishing to pass on their art to their descendants and would sometimes put the umbilical cord of their first son in the sound box of their instrument. Zithers can be traced back to the ancient Mesopotamia. The santur (onomatopea meaning 100 strings in Indian) is made up of a sound box which is often thick with wooden pegs (made of bitter orange wood), iron nails and strings made of gut or bronze (now made of steel). Two ivory or wooden mallets, sometimes wrapped in silk, are used to strike the strings, which are grouped in four per note, with the notes extending from yakah to jawab-hijaz. The notes of reference are tuned according to the singer’s ambitus. The qanun has a much thinner sound box, wooden pegs. The strings used to be made of gut but are now made of plastic or nylon with copper wiring. A silk cloth can be laid across the strings for a more muted, almost intimate sound. The musician would wear a ring with an eagle’s feather on each index finger to pluck the strings. Today, these have been replaced by plastic sticks or shirt stays. Qanun means “law” or “canon” in Greek and Arabic, reflecting the Arab’s interest in ancient Greece and thinkers such as Pythagorus. The qanun was brought to Europe after the crusades and was mentioned by Guillaume de Machaut in his poem la Prise d’Alexandrie (13th century). We assume that the harpsichord stemmed from the qanun with the adaptation of a keyboard. 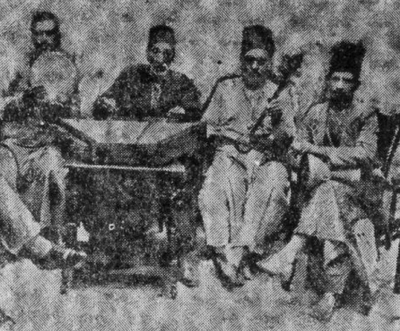 Embellishments, trillos and drumming are part of the tradition of the santur players, Hugi Pataw, Yusif Pataw, and Rahmat Allah Safa’i (first half of the twentieth century), and qanun players Yusif Bedros Aslan (1844-1929), Gabriel Iskandar (1859-1919), Sion Ibrahim Cohen (1895-1964), Ibrahim Dawud Cohen, Shawul Zangi, Shlumu Shamash, Nubar efendi (1880-1954) and Yusif Meïr Za‘rur al-Saghir (1901-1986). 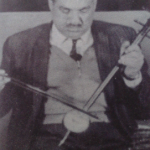 Abu Salim Nahum Yuna (1878-1955), Salih Shummel Shmuli (1890-1960) and Ephraïm Bassun were the great masters of jawza (joza or djozé, in dialect), an extremely difficult instrument to play. The instrument lays on the right hand thigh if the musician in right handed, or on the left hand thigh if he is left handed. The instrument is a spike viola or rebec, having four strings which are played with a bow. The body is made of half a hollowed out coconut, which is where it gets its name, joza meaining nut in dialect. The coconuts are imported from India. Apricot tree or other fruit tree wood is also used to make the instrument. The bow uses horse hair. The strings are made of silk, nylon or various metals. A special varnish (spirto damalog) is used, the secret composition of which is passed down through generations. 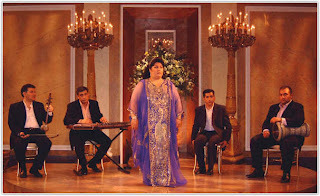 The traditional tuning is ‘Ajam ‘Ushayran, Dukah, Nawä, Kurdan (depending on the singer’s ambitus). After a free overture, the joza generally plays a measured part which develops with an accumulation of embellishments, trillos, transpositions and modulations. The joza follows the arabesques described by the singers in a constant dialogue. The instrument provides the acid nasal sound to the maqâm and makes it possible for the singer to always situate his voice within the mode. 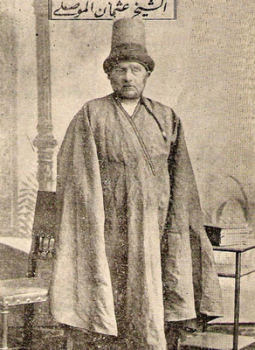 ‘Abbas ibn Kadhim Qarah Juwayyid (1840-1910), Hasqil ibn Shuta ibn Meïr (1840-1919), Harun Zangi and his son Sha’ul (1890-1956), Ibrahim ibn ‘Ezra ibn Moshe Shasha, Yahuda Moshe Shamash, Ibrahim Salih and Husayn ‘Abdallah were also great dumbak players (also called dumbukk or tabla baghdadiyya), a clay drum, traditionally stretched with a fish skin from the Tigris river. Today, certain musicians prefer an aluminum body and a plastic skin which do not deform in the heat in humidity. However, this trend is being fought because it changes the delicate nature of certain cycles and requires a constant and strenuous physical effort to play. 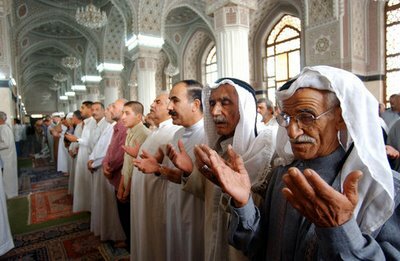 The maqâm of Iraq underwent deep change in the twentieth century, mirroring the changes in society. The maqâm was broadly diffused throughout southern Mesopotamia. 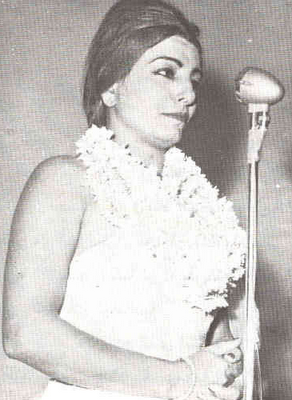 Nâzim al-Ghazâlî made the songs of Baghdad popular all the way to Tunisia. Foreign poems and language were banished in a nationalistic movement. 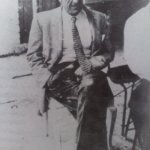 An academic school was born,in part from the pedagogical efforts of people like shaykh ‘Ali al-Darwish al-Mawlawi of Aleppo (1872-1952), the lute player Sharif Muhyi al-Din ibn Haydar Targan of Istanbul (1892-1967), of the Hashemite royal family, the specialist in muwashshahat Ruhi al-Khammash of Palestine (1923-1998), Hashim Muhammad al-Rajab (1921-2003) and Munir Bashir (1932-1997) of Iraq. 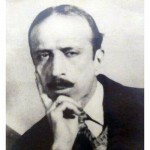 Certain Turkish musicologists were consulted: Refik bey Fersan (1892-1965), Mes‘ud Cemil bey Tel (1902-1965) and Necdet Varol. 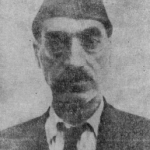 Soviet experts of Azerbaijan and Tadjikistan were invited, as well as the Tunisian historian Sâlih al-Mahdî. The state took charge of the retirement pension of the musicians and institutions took the role of the traditional patrons. 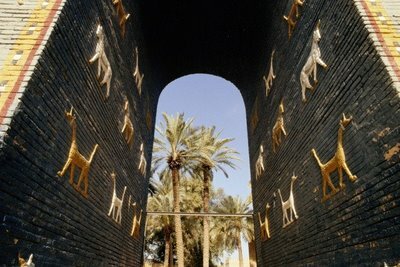 The ancient cafés (‘Azzawi, Qadduri al-‘Aysha, Shahbandar and many others) are reconstituted in the Museum of Baghdad. Lute-makers are encouraged and subsidised. 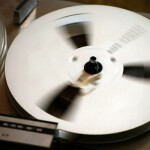 The rudiments of music and computer generated music are now admitted. Television and radio series were recorded and widely broadcast. Teaching manuals with casettes and videos came on the market as well as anthologies of poems and modal compositions, measured or not. 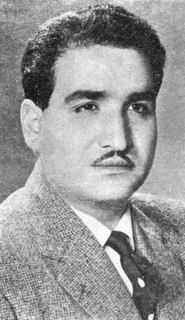 Intisar Ibrahim Muhammad continued the bibliographical research started in 1978 (Masadir al-Musiqa al-‘Iraqiyya 1900-1978, Sources Bibliographiques de la Musique Irakienne (Baghdad 1979). 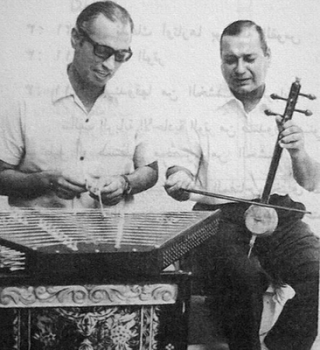 Starting in 1971, serious research revealed the complexity and diversity of all the musical instruments of Iraq. (“Les instruments en Irak et leur role dans la société traditionnelle”, Scheherazade Hassan, Mouton éd. & Ecole des Hautes Etudes en Sciences Sociales, en langue française, 1980). 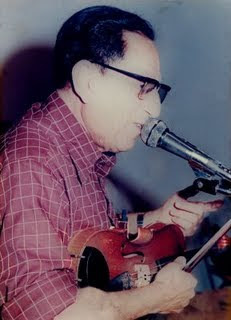 Anwar Subhi Rashîd continued his musical resarch in Ancient Mesopotamia. Symposiums, congress and festivals are organised regularly. Symphonic orchestras were created but commercial music never gave up its rights. Musicians are no longer looked on with disgrace and musicophobia is waning. Major state dignitaries are emeritus lute players, church cantors and devoted patrons, backing musical research and publications. Violation of copyrights is severly fought. The written press keeps its readers informed of world musical events. Do the advantages compensate the disadvantages? So many parameters suggest a structure that is capable of self-preservation and self-generation, an incredible machine with dialectical interaction that travels through centuries, empires, peoples and artists: always different, always the same. Baghdad can rise from the past, fall under the trecherous Mongols, become an Ottoman city, resuscitate in the age of oil: through all this its music survives and imposes itself.